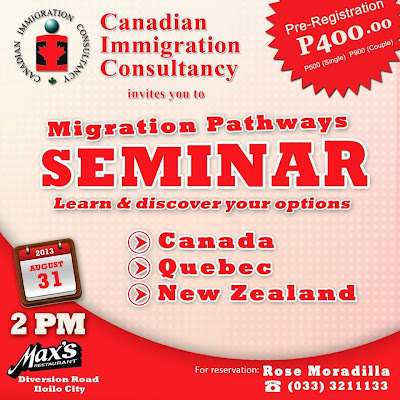 Iloilo Seminar Schedule | August 31, 2013 - Gateway to Canada | Canada Immigration Consultancy! Interested to live and work in Canada? Curious about Quebec Immigration Program for Nurses? Interested to study in New Zealand? Find out how! I will be in Iloilo to conduct seminar. Please CLICK HERE to reserve seats.